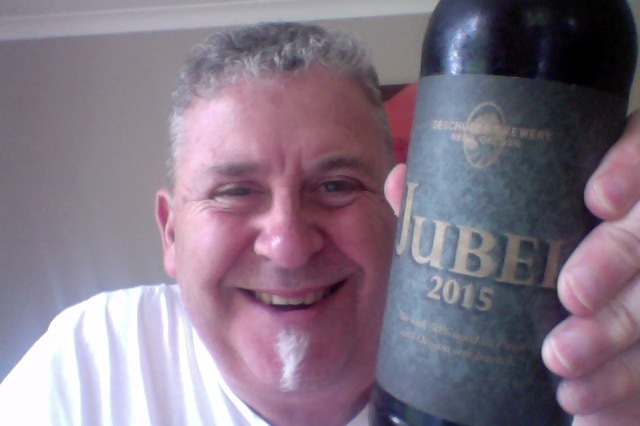 I have a Deschutes Jubel 2015. Another unusual to see beer in New Zealand, this is one that I’ve been looking forward to getting to, even though it’s only been in the fridge a couple of weeks. An American Strong Ale, and you’d think that’s an unusual style, but no, I appear to have had around 15 takes on that style, and on checking that I found myself smiling in remembering some of them. This bottle is 650ml and has beer that is 10.4% ABV and 312 calories a serve , with 55 IBU things, this is about 5.33 standard drinks in NZ, from the one bottle. Notes of toasted caramel, raisins, dates and figs are complemented by spicy and herbal hop aromas. Originally planned as a once-a-decade-ale; we just couldn’t wait another five years. 12 Months in Pinot Noir and new Oregon Oak Released at our pubs & tasting room on February 6, 2015. Wel getting the wax seal off for one thing. Then because don’t read properly the tart tanin oaky bitterness from this surprised me I wasn’t really up for it. Aroma though is lovely, but the pour is a lazy hazy muddy brown that doesn’t look the best. After that tannin slap the deep flavours begin to shine though under that tartness and the alcohol begins to ping as it warms. I’m also really enjoying the Pink Floyd album of music, particular the second half that’s as well crafted as the more commercial first part. There’s nothing wrong with the beer though, it’s just that it’s fairly average middle of the road beer, the tannin dullness is a distraction really. 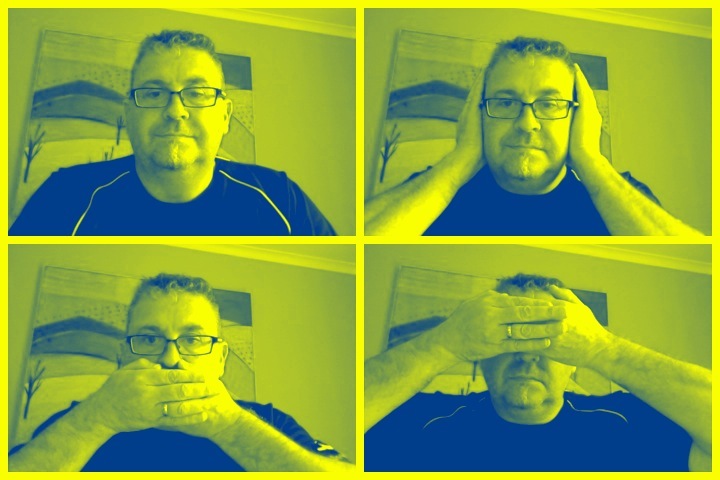 I don’t really care for the muddy look that this has, but apart from that…. At the end of this the album is outstanding and memorable, and unusually outshone the beer by quite a long way. Would I have another? Of course it’s a lovely style of beer that needs to be made more. Music for this: ”Wish You Were Here by Pink Floyd if you’re lucky like me on Original Vinyl – I even had the original postcard that came with the album! 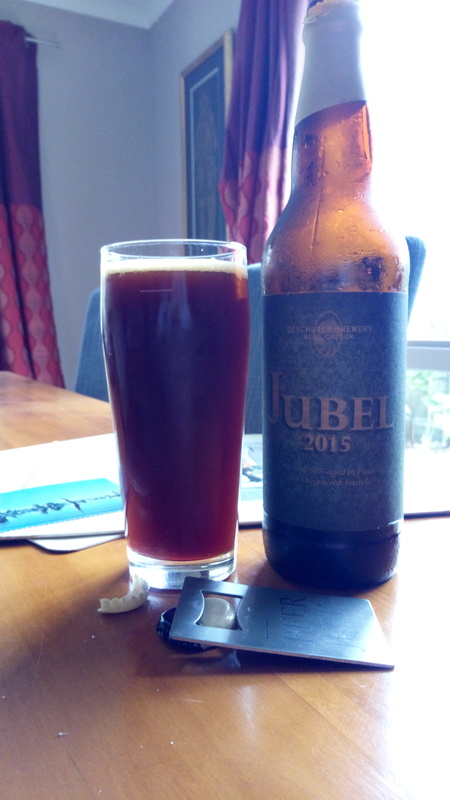 This entry was posted on October 22, 2017 by Philip Walter in American Strong Ale, Beer, Beer of the USA, Beer Review, Brewed By, Craft Beer, Critic, Deschutes and tagged American Strong Ale, BeerJerkNZ, craft beer, Deschutes, Deschutes Jubel 2015, Vinyl on Sunday, Vinyl Sunday.